When looking for high performing vehicles covering every possible terrain and scenario, Honda is a trusted name on the market. With their focus on dependable performance and cutting-edge technology, they lead the way for speed and power with all the latest features for the consumer of high standards. With our selection of Honda OEM parts at the ready, make the most of your next ride on your favorite vehicle. 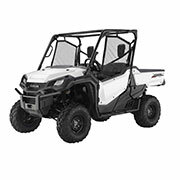 From their innovative TRX420 to the powerful TRX680, every Honda ATV offers speed and stability to rival any brand on the market. With their focus on safety by way of reliable suspension and traction, as well as their commitment to giving riders all the latest features, it’s no wonder Honda ATVs are the total package. 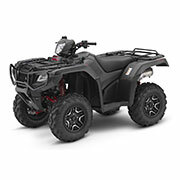 We are pleased to offer a complete lineup of ATV parts from this exciting manufacturer all in one convenient location. When Honda made go-carts, they were a great break from the larger vehicles and offered plenty of fun for all ages. 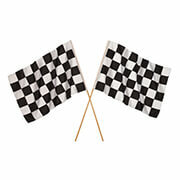 While the catalog of this vehicle type only runs from 1977 to 1990, with the right upkeep and parts, the models can still race with the best of them. We offer a complete lineup of solutions for these smaller yet high performing vehicles to bring the fun back to your model. 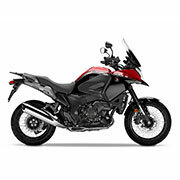 Whether for racing, off-roading, or everyday highway riding, Honda has been at the center of motorcycles since they introduced their first intrepid model. Today, they are a leader in the area with bikes designed to offer the best speed, stability, and power without sacrificing safety or comfort while riding. Find all the must-have parts for your ride right here. With their smaller frame and efficient fuel systems, scooters are a great way to get around town in style and comfort. Whether you are shopping for your PCX150 or your NCW50, we have you covered with everything from cables to bearings for a smooth, easy ride. Made to offer power and control over a range of terrains, a side by side brings the traction of an ATV and combines it with the stability of a wider model similar to a car. Whether shopping for parts for their innovative Pioneer or MUV in one of its many variations or series, we have you covered with all the essentials all right here. Made with a focus on high standards throughout every aspect of design, Honda has a long and heralded history behind every model. Founded in 1937 as a manufacturer of pistons, Honda would undergo several changes over the years to become one of the top-selling vehicle manufacturers with everything from all-terrain vehicles and go-carts to motorcycles and scooters. When they created their first lineup of motorcycles in 1949, they changed the game forever. While they would cycle through several generations to get the engine right, the end result was a collection of powerful bikes made to excite and compete. From there, they introduced scooters for easy transportation that was still efficient yet fun, as well as their all-terrain vehicles for racing fun over a range of terrains. They were the first to make a three-wheeler which created the race on the market to make ATVs a mainstream ride for those seeking adrenaline. They also introduced side by side vehicles of high standards and led the way in suspension and traction qualities to up the ante on the market. When you are shopping for Honda OEM parts, we are honored to play a part in your story with this innovative name. We offer a wide selection of solutions for your favorite Honda vehicle. While we know having a wide range of vehicle types is important, such as ATVs, scooters, motorcycles, and side by side vehicles, having a range of models within each vehicle category is crucial. We offer all of their most sought-after models in a range of years, as well as individual series, to ensure you get the right Honda parts for your needs. We also offer a diverse spectrum of available part types covering every imaginable aspect of your favorite Honda vehicle. From carburetors to oil pumps, we offer a wide selection to meet your needs at an affordable price. 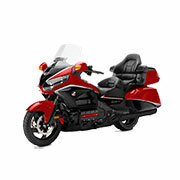 If you have any questions regarding our large inventory of Honda parts, please contact us today for further assistance. We are always happy to help in any way when searching for the right solution for your vehicle.